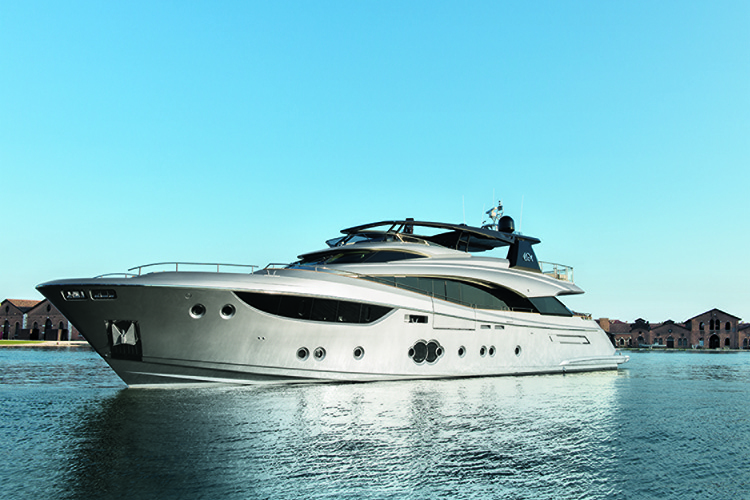 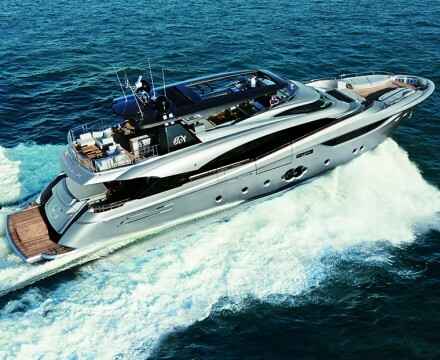 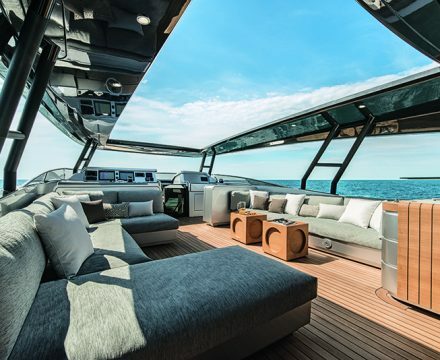 The design of the new MCY 105 is again the work of Carlo Nuvolari and Dan Lenard, who have invested all their talent and experience in creating mega yachts into developing a 32-metre vessel with exclusive features. 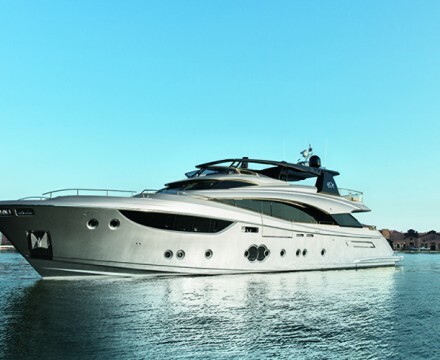 The hull and the superstructure are perfectly balanced, thus creating a unique style. 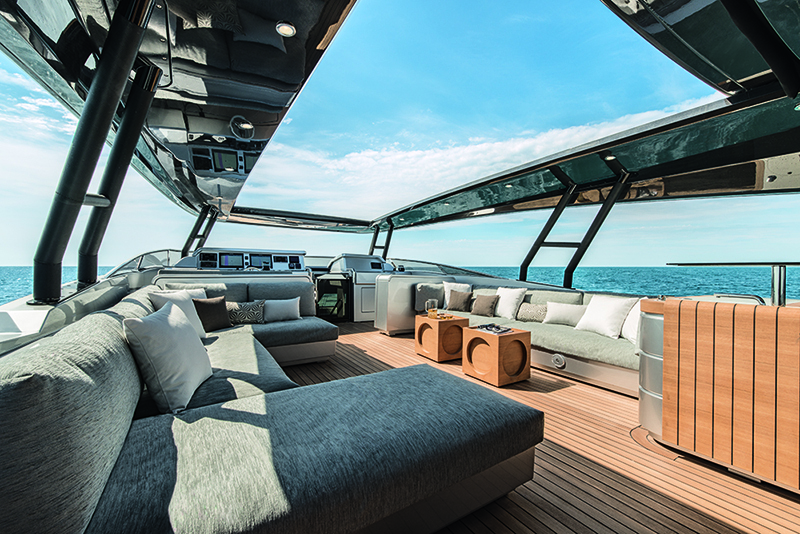 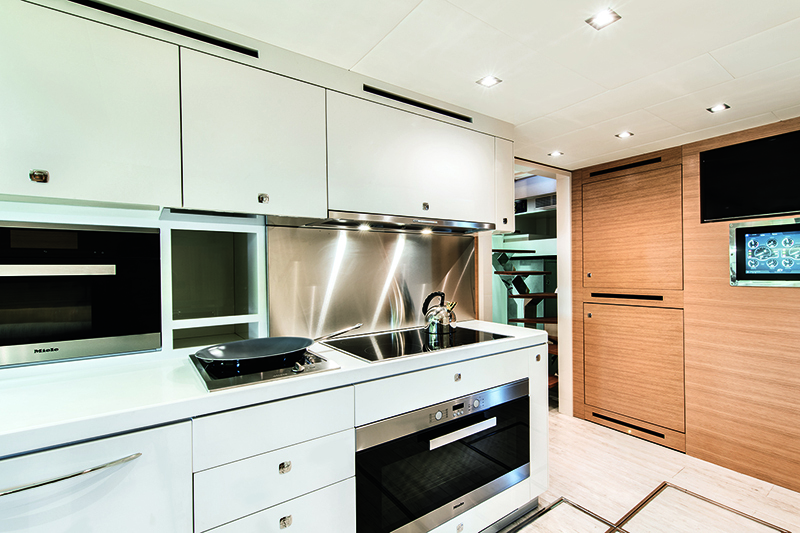 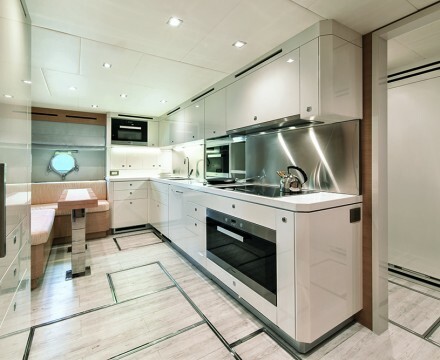 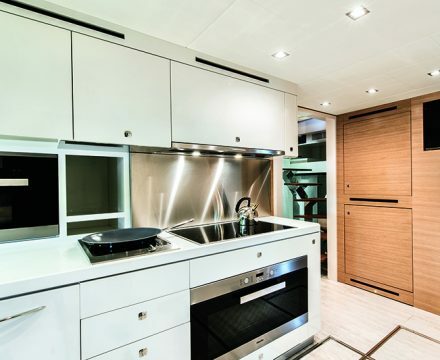 The boatyard’s distinctive trait of creating spaces only available on mega-yachts is particularly evident in the MCY 105. 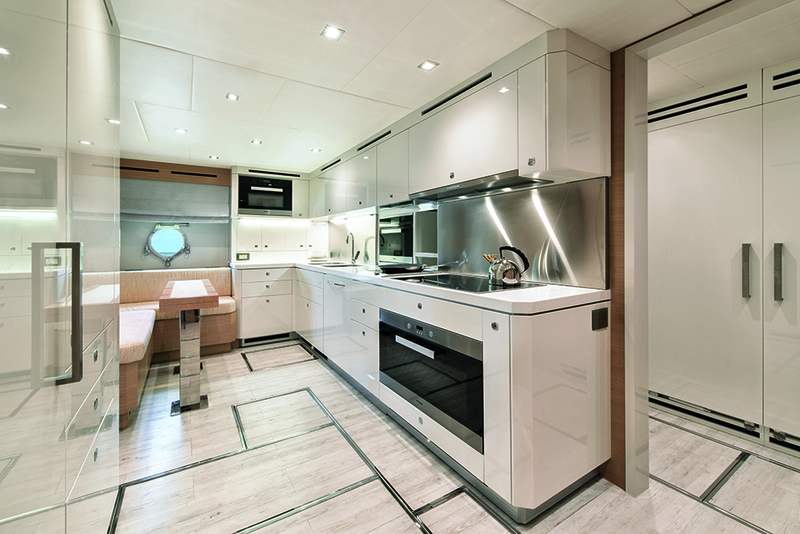 The interior spaces onboard the MCY 105 are incredibly voluminous. 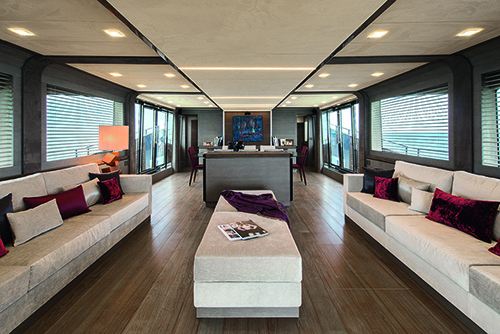 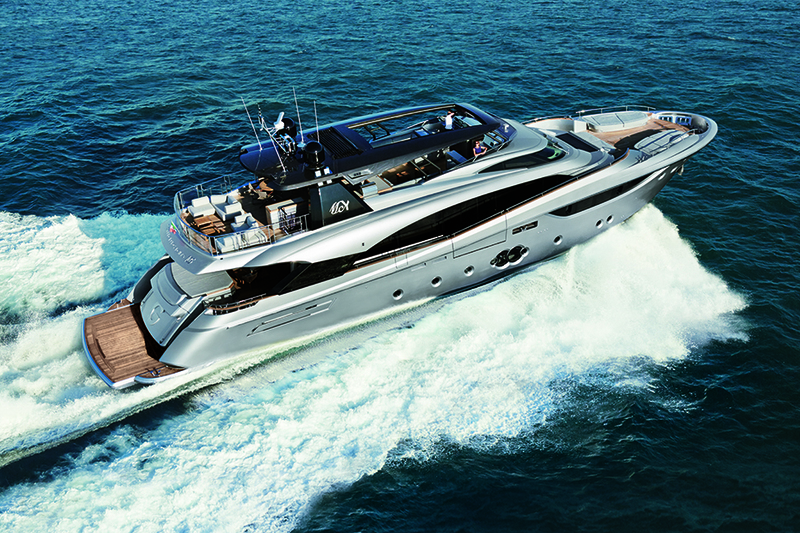 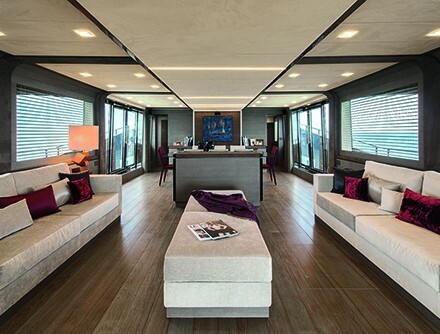 The large Portuguese deck at the bow, and the flybridge with equipment and living space are unmatched in its class, while the unique and ergonomic Raised Pilot House gives maximum comfort to the master cabin – located on the main deck – that features full beam and giant, full-size windows.